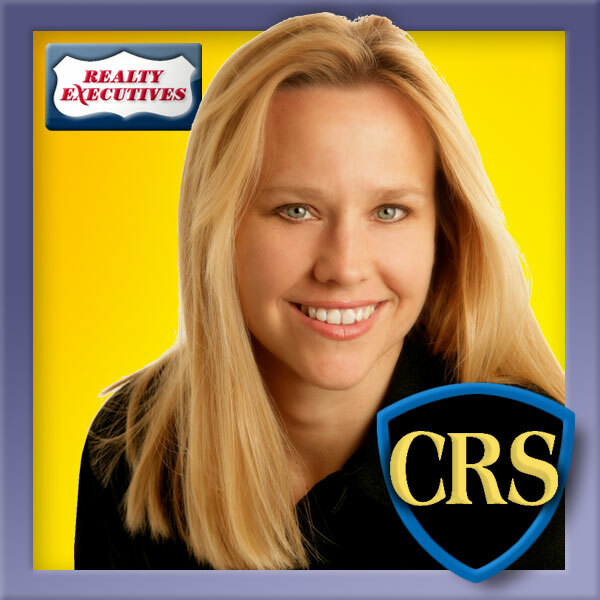 Broker Realty Executives, Hedges Real Estate, Inc.
With seventeen years of experience in the Lawrence, KS real estate market, I have developed an expertise in handling both buyer and seller side transactions. I've earned the respect of both my clients and my peers through fair dealing, being an effective negotiator and my ability to quickly resolve issues. I am dedicated to broadening access to home-ownership here in Lawrence through buyer education and assisting first time buyers through the purchase process. I also list properties for sale, and strive to add value for my listing clients by investing in the best marketing and advertising partnerships, enabling me to boost exposure for their listings. I'm considered a leader in online advertising, marketing and real estate technology by my peers. I'm a strong fair housing advocate and cherish the diversity we have here in Lawrence. In addition to myself, I employ three full-time licensed real estate professionals and a full-time transaction facilitator. My team is not compensated on commission, which is unique. They receive a guaranteed salary and benefits package that empowers them to focus on what matters, customer service. Guaranteed pay, assures the entire team's focus remains on the customer's best interest and the quality of service we provide. This policy reinforces my top commitment to clients, that they will always receive the same honest and compassionate service my reputation was built on, regardless of who is servicing them. My licensed team approach magnifies and improves all levels of service provided, in addition to an unrivaled 160 hours of agent availability each week that includes after hours and weekend availability. Experience To earn the Certified Residential Specialist (CRS) Designation, every REALTOR® must have significant experience and demonstrate volume of real estate transactions or gross sales, as well as complete rigorous educational requirements. Ethics Every CRS designee is required to maintain membership in the National Association of Realtors® and to abide by its strict Code of Ethics. Technology Expertise The training available to CRS designees includes a strong focus on technology and its applications in the real estate business. The Top 3 Percent Less than 3 percent of all licensed Realtors® are Certified Residential Specialists. Education Successful completion of the Accredited Buyer's Representative Designation Courses and verification of completed transactions in which I acted as a buyer’s representative. Education Pursued a course of study that represents the minimum common body of knowledge for progressive real estate professionals. Skills Developed a solid foundation of knowledge and skills to navigate the current real estate climate. Experience Responsible for making policy decisions that govern the Lawrence Board of Realtors. Responsibilities also include approval of annual budget, establish membership dues, determine public policy positions as they pertain to the real estate industry, approve governing policies of the association, enact necessary amendments to the Articles of Incorporation and Bylaws. Experience The MLS Rules Committee regularly meets to review current and emerging rules-related issues, including those raised by Lawrence MLS subscribers, Lawrence Board of REALTOR® members and recommendations provided by both the National Association of REALTORS® (NAR) and Kansas Association of REALTORS® (KAR). As needed, the recommendations of the Committee are presented to the Board of Directors for consideration and possible adoption into the official Lawrence MLS Rules. Topics the Committee covers include, MLS Rules, including IDX and VOW and the Lawrence Board of REALTORS Standardized Sales Contract. Experience Research, evaluate, and recommend methods to maximize and integrate existing information systems and recommend new technologies. Develop implementation plans and maintenance plans for approved systems and technology services. Mid-America Region (Colorado, Kansas, Missouri, and Nebraska) - Realty Executives International Inc.
Realty Executives - Hedges Real Estate, Inc.